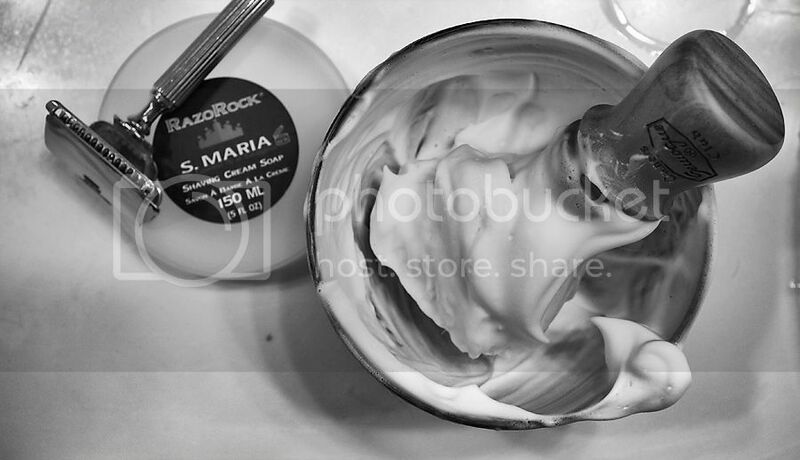 During the recent RazoRock shaving soap sale over at Bullgoose I ended up with a couple of RazoRock soaps (first time trying this line of soap) and the one I tried out this morning...was the "S. Maria" one. First impression is that this is the softest/creamiest Italian "croap" I've ever tried - much softer than say 3P or Cella. 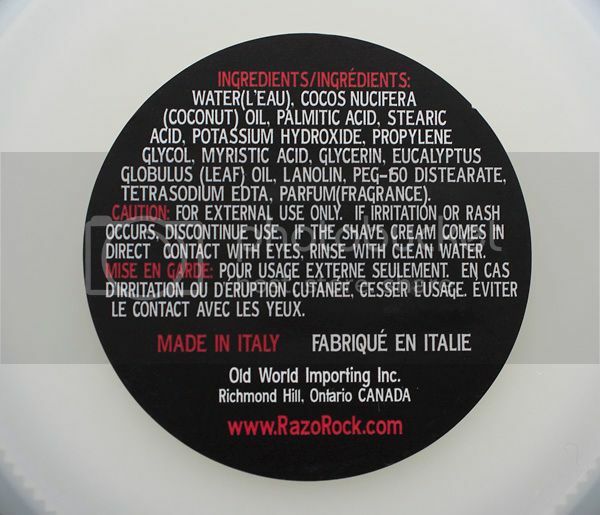 I believe this made me use more product than I would have other wise and as such I think this softer soap may not last as long/give as many shaves as a harder croap. Hm. Now, I wouldn't call it unpleasant at all...but I would say it smells very artificial..almost like chemicals. "Fresh" in a sterile sort of way. Maybe a strong Eucalyptos scent. Not a scent I'd go back and smell just for the fun of it. I am not a bowl latherer normally but the softness of the soap almost 'forced' me to move it over to a bowl. Took me some time..but after adding a bit more water and maybe 80-100 swirls this thing absolutely exploded in thick, rich lather. It was quite incredible actually. Very, very good 'staying power'. 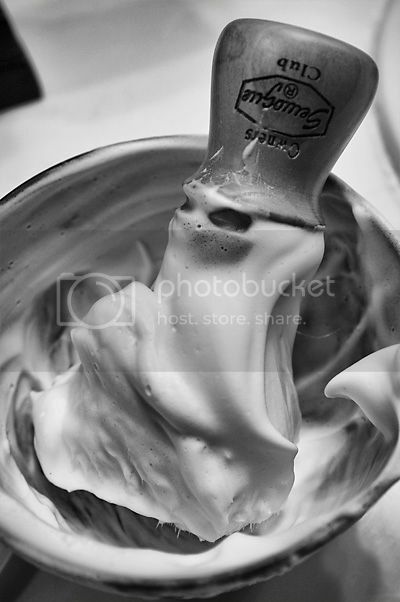 The later once applied to my face remained thick and luxurious and gave a most excellent shave. One of the best lathers I've ever created. Scent: 4/10. A bit too 'artificial' smelling for me. Would I buy again? Taking the scent into consideration I'd probably go for another RR croap with hopefully another scent but with the same excellent performance. Looking forward to trying out the RR Classic that I also got on sale (for 3 dollars).